From time to time, you have the problem with the videos on Instagram playing. This issue happens when you are running the older version of Instagram app that might has corrupted data. It also has something to do with the network connection, power saving mode/lower power mode, the browser extension or the video itself. Sometimes the instagram videos playback error is blamed for insufficient available space to buffer the video content. To fix the Instagram videos not playing on iPhone, iPad, Android, Firefox or Chrome, just try the following tips. Check the detailed solution to tackle online videos not playing issue. 1. Restart your phone or tablet first if you face with Instagram not playing videos issue. 2. Delete and reinstall Instagram if restarting your device doesn't help and fix the Instagram video bug. ▶ For iPhone and iPad users, please tap and hold the Instagram app icon until it shakes from the Home screen; tap x on the app to delete it and reinstall Instagram in the App store. Log in with your username and password. ▶ For Android users, Go Settings > Applications > Manage Applications > Instagram, tap Uninstall and reinstall it in the Google Play Store. 3. 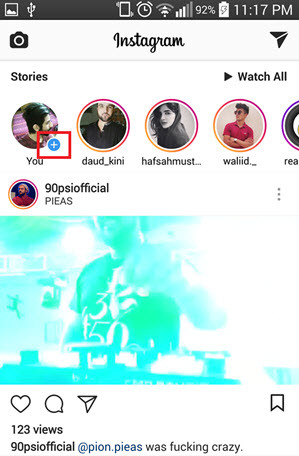 Use Instagram on WiFi and mobile data connection to check if the Instagram videos not playing issue is caused by this. Or else, go to Settings to reset network settings and check if it works again. 4. Exit from the power saving mode and check if you can play Instagram videos smoothly. Sometimes your Instagram has serious video playing issue with a spinning circle and the video never loads or never finishes playing even when switching to the super fast house wifi. This can be put down to the power saving mode. 5. Clear Instagram caches. If the above troubleshooting steps are in vein and the instagram videos still won't play properly, clear the caches and reopen the app. 6. Store the Instagram videos locally. You shall bear in mind the videos on Instagram might be deleted by the owner untimely. This will lead in Instagram video not playing error. To avoid this, you can free pick the video URL to download Instagram video and convert with an Instagram video converter. 7. Remove the extension. So Mac users reported experiencing the Instagram videos keep pausing/stopping/freezing error after an update to the new macOS version even when they emptied the caches and deleted all history items. One users suggested to go to Safari Preferences > Extensions > turn off all extensions > turn them on one by one to fix the issue. 8. Release more space to buffer Instagram videos. A successful attempt to get Instagram stories videos played back again without stuck error is to check the available space on your iPhone iPad and make sure to free up some space for playing the Instagram videos properly. You may get trapped with the situation: try to upload a video/picture to Instagram, but it simply said "couldn't refresh feed" each time you tried to refresh the page. This is the most common problem on Instagram. 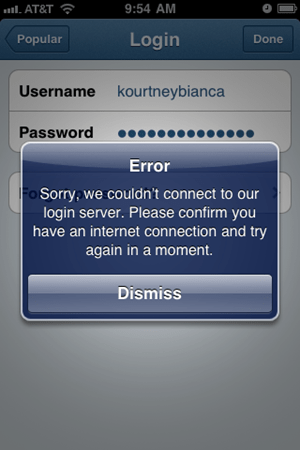 The general reason for Instagram not working is with the DNS and the conflict with IP address. If you still get stuck in the issue, just try the following solutions to check if they can work for you. 1. Check your internet connection 2G, 3G, 4G or WiFi you are connected to. Switch network if available, such as from 4G to WiFi. 2. Check whether your internet connection signal is weak. If so, it may cause the Instagram problem. 3. Check if the WiFi you are using is currently connected by other people, which may throttle your bandwidth, leading to the Instagram down issue. Tips: If you used a certain amount of data in a month, this may result in feed error as some mobile carriers limits your mobile data. Just feel free to contact your service provider. 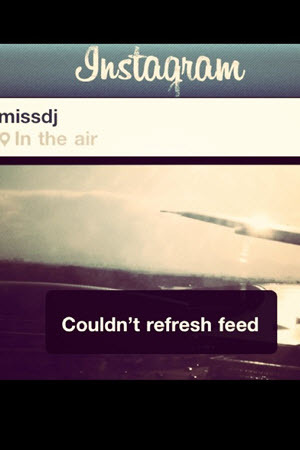 For more Instagram problem, please jump to: Fix Instagram Not Playing/Working error. Many customers reported having no sound on Instagram video. 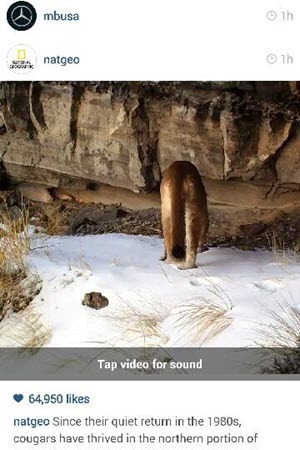 The issue is probably caused by the latest Instagram update which says to tap the video to enable sound. Please follow the fix to play sound from the start on Instagram video. 1. Tap anywhere on the video while it's playing. 2. Adjust the volume using the volume buttons on your phone. This Instagram videos no sound error when playing also resembles to the YouTube error. You can follow the detailed steps to deal with YouTube videos no sound error. This Instagram problem refers to an error message saying "Upload Failed" when you try to upload a video to the service. The Instagram not working is partly due to the memory issue and it is easy to handle if you try the troubleshooting tips as below. 1. Turn off your phone and turn on it again to reset its memory. 2. Check if you have a good signal strength or WIFi connection if restarting your phone doesn't fix the Instagram down issue. 3. Use the latest version of your browser. 4. If it still doesn't work, please make sure whether the file you upload is the Instagram supported video format. Instagram recommend using MP4 or MOV format. 5. Keep in mind that the videos must be less than 45 minutes long and smaller than 1.75 GB. By the way, you can also convert DVD to instagram readable formats and then upload your homemade dvds, such as wedding DVDs, to Instagram, relying on a DVD ripper. Note: To upload camcorder videos/4K UHD to Instagram, you can try the world's No.1 fast MacX Video Converter Pro to convert MKV, AVCHD, MTS, WMV, MOV, even 4K UHD videos to Instagram supported formats/size while maintaining perfect balance between the file size and video quality. Thus you won't be annoyed by Instragram not working errors due to file size limit, video quality, online buffering and so on. 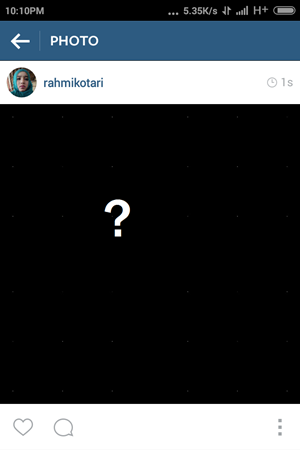 Many Instagram users come across the problem that the Instagram screen went black when watching videos. So what to do next? Take a shot of the following feasible tips for fixing the Instagram problem of not working with black photos/videos. 1. Open Instagram on your phone. 2. Navigate to the Profile tab and tap on the Top-Right icon. 3. Tap on the Camera option. 4. Turn off Use High Quality Image Processing option and now close Instagram and restart it again to check whether the Instagram crashing error is fixed. 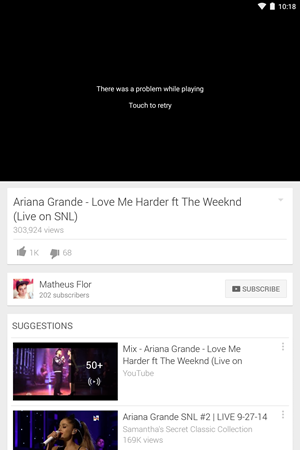 If you are encountering YouTube black screen error, head over to the page. Apple iOS users get a message "Sorry, we couldn't connect to our login server. Please conform you have an Internet connection and try again in a moment" when they try to log in. Solution to tackle the Instagram problem is accessible as below. 1. Reset your Wi-Fi router to solve Instagram not working if you have a stable internet connection. 2. Turn off Wi-Fi and onnect using your service provider's connection if your phone has service through 3G or EDGE. 3. Go Settings on your phone and make sure your date and time have automatic settings turned on. 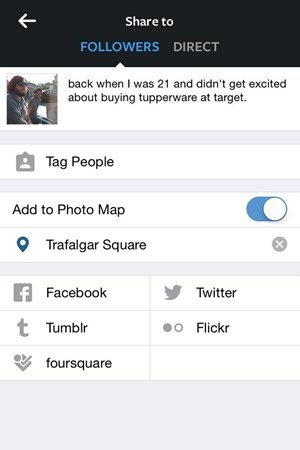 Many users are suffering the issue that Instagram won't let them tag a certain person. Use tips below to try to fix the Instagram hashtags problem. 1. Make sure the person you are tagging doesn't block you. 2. Wait and tag later. Instagram limits how many people you can follow within an hour or a day. 3. Search the name of the person you want to tag, open their profile, and head back to the photo, and try to tag. 4. It's simple an Instagram error or bug. 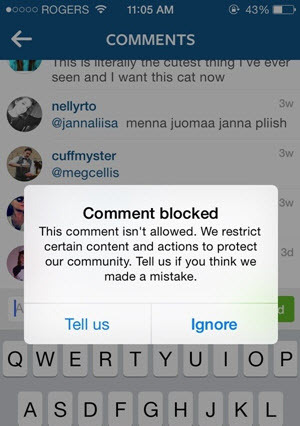 If you receive a "comment blocked" message or your comments don't show up to others on Instagram, try the following tricks. 1. Update to the latest version of Instagram app and try again. 2. Check if you are blocked by the person you'd like to comment on his content. 3. Do not comment, like, follow/unfollow people on Instagram frequently. "You can't include more than 5 @ mentions in a single comment." "You can't include more than 30 hashtags in a single comment." "You can't post the same comment multiple times (including emoji)." - from Instagram Help Center. The aforementioned Instagram problems can be fixed by following these feasible tips. But if you discover some awesome videos on Instagram but are fed up with the Instagram problems and complicated solutions, it is advised to download them in case of the precipitate Instagram errors. That is to say, you can turn to some tools, like MacX Video Converter Pro to download Instagram videos. Plus, you can even use this software to download YouTube videos and other online videos and convert them to iPhone, iPad and other Android phone for offline playback anytime. Follow the tips to get Instagram problem resolved and download videos for offline playback. Step 1: Free download this Instagram video downloader. Click the button "YouTube", and put the target URL of Instagram video in the address bar and click the button "analyze". Or you may click the button "paste & analyze" to automatically detect the video automatically. Step 2: Press "Browse" button to choose the target output folder you would like to save the video downloaded. Step 3: Click "Download Now" to free download video from Instagram. You shall bear in mind the Instagram video will be of large size and of different formats unreadable by your mobile. By click &quot;Auto add to convert&quot; you can choose the specific device profile and then play the downloaded video anywhere anytime. Meanwhile, you can also download YouTube videos on Mac and PC with this tool. To avoid Instagram errors, like Instagram video not loading/refreshing, Timeline not updating, video stuttering, Instagram video black screen etc. we also share a video tutorial to help you solve Instagram not working issues easily and quickly. MacX Video Converter Pro is a must-have Instagram tool to avoid Instagram videos not working/playing error. It is specially designed as an Instagram video downloader allowing you to download videos from Instagram and other 300+ video/music sites like YouTube, Vimeo, Vevo, Dailymotion, Metacafe, BBC, etc. You can even make slideshows with the photos from Instagram in a couple of clicks. ▶ Download Instagram video for Mac/Windows PCs, mobile phones in case of unexpected Instagram not working errors during online watching. ▶ Convert videos/music to Instagram supported video formats, MP4, AVI, WMV, MOV, MP3, AC3, etc. ▶ Play Instagram videos on iPhone XS/XR/X/8/7/6S/SE/5, iPad Pro/Air, Samsung Galaxy Note 8/S8/S7 edge, Sony Xperia, Huawei, Xiaomi and more. ▶ Automatically filter Ads and enable to watch videos offline without loading/buffering. ▶ Edit videos for upload to Instagram, such as trim video length, cut unwanted part, add watermark and subtitles to video. ▶ Make funny photo slideshow with background music to be uploaded to Instagram and Record Instagram video. Tube2Gram comes to your choice for uploading YouTube videos to Instagram? Then you must take a long time to download videos from YouTube and there is a possiblity that the downloaded YouTube video cannot be upload to Instagram at all. Why not try MacX Video Converter Pro, an all-in-one tool to upload YouTube video to Instagram, with no video limits! MacX Video Converter Pro is the best Instagram video downloader which can easily download Instagram videos with original quality and fast speed. This feature-rich video downloader also can help you download 8K/4K UHD full movie/videos/music free from 300+ online sites.